Chartered in 1994 Southbourne Lions in West Sussex covers an area known as The Bourne between Southbourne in the west, Bosham in the east and Compton in the north. Our main objective is to support and assist local charities and good causes. We make donations and offer support to all kinds of local organisations, individuals and good causes as well as supporting International Lions projects. We welcome requests from other local organisations who think we may be able to assist them in some way. We meet in Bosham Village Hall on the 2nd Tuesday of each month. If you would like more information on joining our active and social group or think we can offer assistance to your own organisation or good cause then please see the contact page. 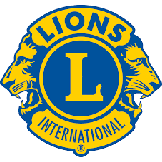 Lions Clubs International is the world's largest service club organization with more than 1.4 million members in approximately 46,000 clubs in more than 200 countries. Search our site for any word or phrase by typing it in the box above and clicking on the ‘Search’button. Do you have any good paperback books you’ve read and no longer need? Why not pass them on to us and help us to raise funds. Peter Etheridge and Pat Hancock recently received awards from President Lynne Smith in recognition of 25 years as Lions members. Please click here for photograph. Every year, in January, Southbourne Lions Club holds a party in Bosham Village Hall to thank those who have helped the Club during the year. A market is held in the grounds of Emsworth Cottage Hospital on the third Saturday of each month from May to September. Tickets for this event may be bought online. Please click here for details.